Biola University welcomes 15 new faculty members this fall — each of whom represent the university’s aspiration to attract and retain the finest Christian scholars. The new professors vary in interest and expertise from the Old Testament to psychology to audiology. Learn about Biola’s new faculty below and read their thoughts on the value of Christian higher education and the significance of a strong foundation in their specific fields. 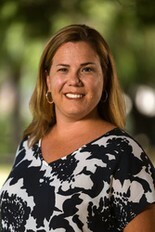 Dr. Cayla Bland comes to Biola from MidAmerica Nazarene University in the Kansas City area, where she was an associate professor of counseling. She received her master’s degree in Clinical Psychology from Wheaton College and her doctorate in counselor education and supervision from Regent University. Bland has 20 years of teaching experience in Christian higher education with undergraduate, graduate, and online students. During her time at MidAmerica she helped develop a master’s degree in Counseling including Council for Accreditation of Counseling & Related Educational Programs professional accreditation. She held positions of Director of Training and Marriage, Couple, and Family Track Coordinator. Her current clinical interests include couple and family therapy, and clinical supervision. Her current research interests include counselor development and supervision, clinician self-care, online education and the integration of faith and psychology. Dr. Jamie Sanchez lived in China for more than eight years working for a business consulting firm and co-establishing an educational training center that specialized in English language and cultural training. In addition, she coordinated academic personnel and business professionals to work in China and established partnerships between Chinese universities and international university groups and organizations. Sanchez holds a bachelor’s degree of business administration from New Mexico State University, a master’s degree from Union University, a master’s of divinity from Golden Gate Baptist Theological Seminary, and a doctorate from Virginia Tech. 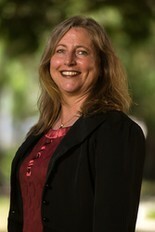 Dr. Lydia Knopf has served Biola University for 29 years. She launched School and Church Relations, which became Community Programs and Services and then Biola Youth, an organization providing a myriad of services, including Biola Youth Theatre, Biola Youth Academics, Star Academics, Torrey Academy, Ministry Outreach, and youth athletics. Most recently she served as Director of Biola Youth Academics expanding services to include Biola University K–12 Private School Satellite Program, Elementary Academics, online education, electives, and much more. During that time she earned her Ph.D. in Organizational Leadership with a major in Entrepreneurial Leadership from Regent University. Dr. Knopf’s research interests include organizational behavior, culture, identity, commitment, and change, transformational, authentic, spiritual, charismatic, servant, steward, and ethical leadership, entrepreneurship, Romans, 12 motivational gifts, and calling. 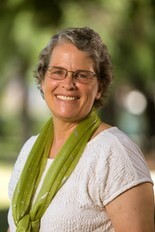 Dr. Jeanette Hagen has served in a variety of ministry capacities including evangelistic and humanitarian work with orphans in the former Soviet Union, helping to facilitate for theological and ministry training around the world, and serving in a church plant in Whittier, Calif. She completed her doctorate, studying under professor John Barclay at Durham University. 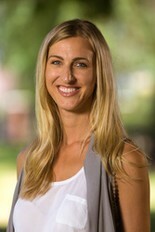 Her research focused on the Pauline concept of faith. 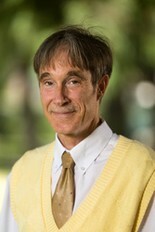 Hagen has presented academic papers at a number of conferences in the United States and in Europe. She has also contributed to the Lightfoot Legacy, a three volume set of previously unpublished commentaries by J.B. Lightfoot, a foremost English New Testament scholar of the 19th century. Prior to coming to Biola, Hagen taught at Cranmer Hall in Durham England, a theological college focused on training individuals called to full-time Christian service. Dr. J. Michael Thigpen enjoys teaching and writing on a wide variety of topics in the Old Testament. His special areas of interest are prophetic literature, God’s motives, and the theology of work and economics in the Old Testament. 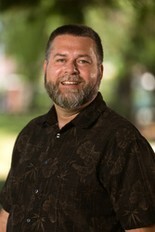 Thigpen currently serves as the Executive Director of the Evangelical Theological Society (ETS). 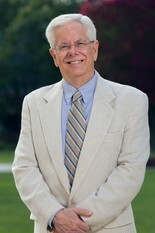 Prior to his appointment as Executive Director in 2009, he taught Old Testament and Hebrew at the undergraduate level. Thigpen has extensive pastoral experience, having served most recently as pastor at the J-Town campus of Sojourn Community Church in Louisville, Kentucky. He is the author of Divine Motive in the Old Testament: A Comprehensive Survey and Analysis and the iVocab series of language aids for Hebrew, Greek, and Syriac. In addition to his work with Talbot and ETS, Thigpen serves as Lecturer at Munster Bible College in Cork, Ireland. Reformed Church of Switzerland. After the completion of his doctorate at University of Basel where he also completed his master’s degree in divinity, he moved to Jerusalem and then to Boston for postdoctoral studies at the Hebrew University of Jerusalem and at Harvard University. He has held teaching positions in Switzerland, Germany, Norway, and Belgium. He has a passion to connect the Bible both with personal and societal issues. Questions relating to migration and issues related to violence in the Bible top the list of his research interests. A Southern California native, Paul Ferguson has enjoyed a 30-year career in public higher education as a professor in the field of toxicology/public health and as a university administrator. Prior to coming to Biola University in 2016, Ferguson served in leadership roles at five universities including as President of Ball State University (2014-2016), President of the University of Maine (2011-2014), Provost and Vice Chancellor of Academic Affairs at Southern Illinois University Edwardsville (2006-2011), Vice President for Research and Graduate Studies at the University of Nevada Las Vegas (1999-2006), and Vice Provost and Dean of Graduate Studies and Research at the University of Louisiana, Monroe (1993-1999). Learn more about Paul Ferguson. Jessica is an assistant professor of analytical chemistry in the Chemistry, Physics and Engineering Department. A native of Southern California, she completed her bachelor’s degree in Chemistry at U.C. Berkeley, and then moved to Virginia Tech to finish her doctorate. Her research interests are to study the chemical and physical properties of organic compounds in the environment, building from a molecular-level picture and extending to surfaces and microdroplets. Her dissertation, "Dynamics of Atmospherically Important Triatomics in Collisions with Model Organic Surfaces," describes how CO2, NO2, and O3 interact with organic surfaces composed of a single layer of molecules. Most recently, she finished a postdoc at ETH Zurich, and is excited to be a part of the new School of Science, Health, and Technology. 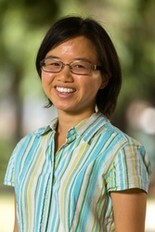 Grace Lew has thirty years of experience in the technology industry. She was project manager and consultant for a global enterprise business systems and database company, working all over the world in a broad spectrum of industries on all phases of the end-to-end project lifecycle. Prior to that she has worked in several companies as a software engineer. 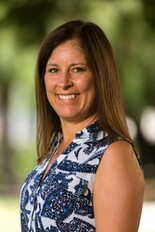 Dr. Lori Newport has practiced audiology clinically at La Palma Intercommunity Hospital and in a private practice in California. She performed diagnostics for hearing for patients of all ages from the NICU to nursing homes as well as assessing balance function in adults. Newport fit and evaluated patients with hearing aids. 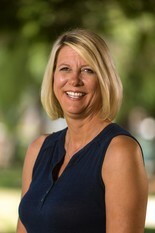 She began teaching adjunct at Biola University in 1996 and found it was her passion to share her knowledge with future audiologists and speech language pathologists. She also taught audiometry online to school nurses for California State University, San Bernardino. Newport has worked with Biola's event staff as they developed a policy to protect the hearing of staff and students at various loud events at Biola. Deborah O’Dell graduated from the nursing program at Biola in 1980 and worked for four years in a hospital before going to Japan as a church-planting missionary for 17 years. 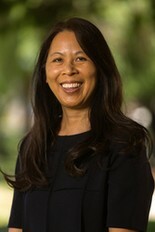 In 2001, she and her husband returned to California to work with Japanese students on college campuses and in 2006, O’Dell returned to the nursing workforce. She worked for 10 years at a community hospital and her last position there was in administration. She received her master’s degree in nursing with an emphasis in leadership in health care systems from Grand Canyon University in May 2016. Dr. Brent Peterson is a native Southern Californian. 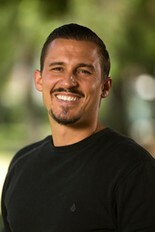 Peterson completed his bachelor’s degree in exercise and sport science at Concordia University, Irvine (2004) while on a track and field and academic scholarship. In 2006, Peterson started his first master’s degree at California State University, Fullerton in kinesiology. Peterson then, in pursuit of multiple doctoral granting institutions, felt the Lord's leading to Greeley, Colo. to complete a biomedically-based Exercise Physiology doctorate program (2015) and work under Dr. Carole Schneider and Dr. Reid Hayward at the only Cancer Rehabilitation Institute (UNCCRI) in the nation at that time. During Peterson's doctoral journey his mentor Carole Schneider passed away from cancer, which led him to complete a second master’s degree at the University of Colorado Denver at the Colorado School of Public Health. Peterson has taught at the undergraduate level since 2008 as a TA/GA, but was teaching as an adjunct instructor since 2012. While in Colorado, Peterson also conducted research, wrote grants to support multiple research initiatives, and presented/published research. 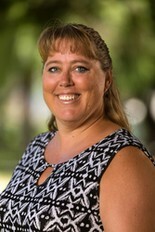 Upon graduation from Biola, Colleen Sanchez worked as a nurse in the Biola Student Health Center caring for sick and injured students and staff members. For the past 16 years, she was employed at a local hospital where she worked in medical/surgical, critical care, and education, in addition to being a house supervisor. Her joy is in teaching and she has mentored students, as well as new graduates in nursing who came through the hospital. Now, her focus is on the next generation of Biola nursing students equipping them with the knowledge and skills to care for the growing population of those in need. Written by Jenna Loumagne, media relations specialist. For more information, contact Jenna at 562.777.4061 or jenna.loumagne@biola.edu. Welcome new faculty! I am praying for you as you teach and influence Biola students. Thank you for the information and for the personal comments. I am excited about the future of BIOLA!